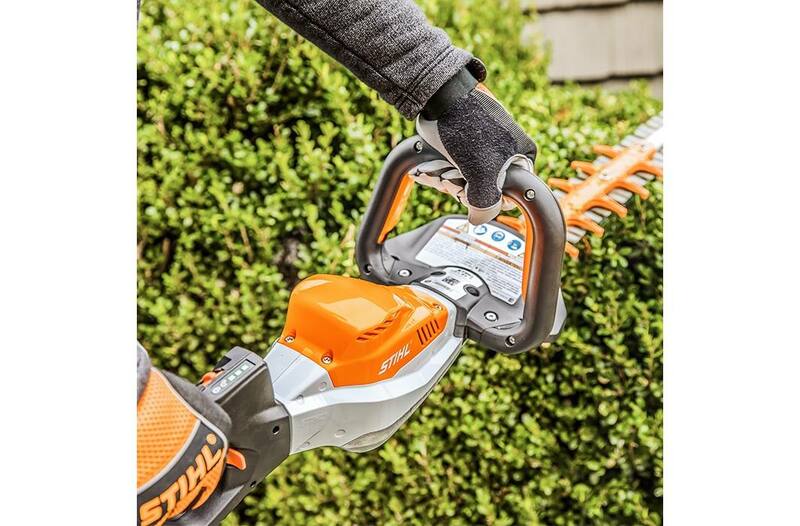 Part of the STIHL Lightning Battery System® AP Series, the HSA 94 R is ideal for professionals looking for lightweight, quality performance. 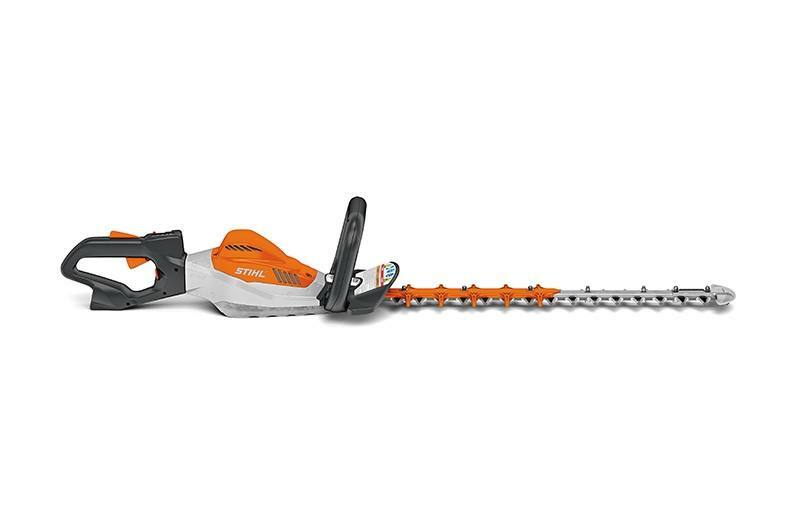 Featuring a commercial-grade, brushless electric motor, this energy-efficient and lightweight hedge trimmer is quiet and delivers ideal speed and run times. 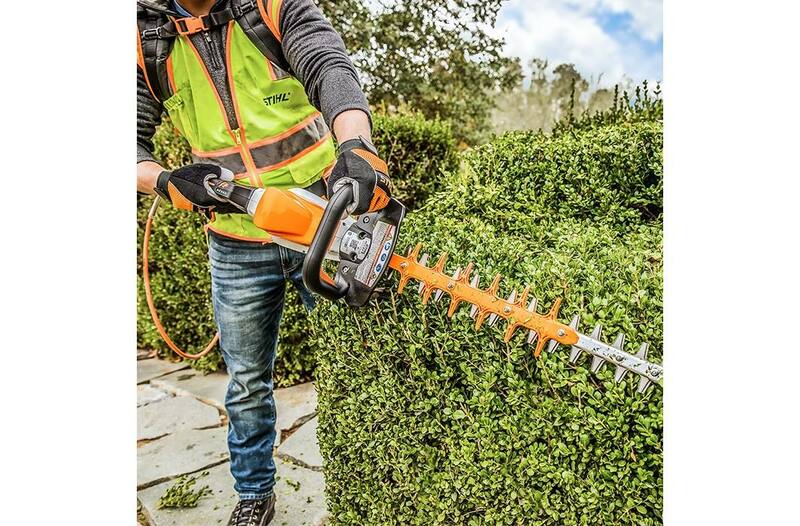 Designed with high torque, low blade speed and wide tooth spacing, the HSA 94 R is ideal for making powerful pruning cuts. The HSA 94 R also has instant start technology and features a variable speed throttle trigger with three performance levels offering cutting speeds ranging from 2,800 to 3,200 strokes per minute. The ergonomic handle is ideal for making cuts in any direction, allowing for efficient and comfortable use. The HSA 94 R requires no onboard battery. Rather, a variety of options are available that allow the operator to shift the battery weight to the back or hips for optimal weight distribution and user comfort. 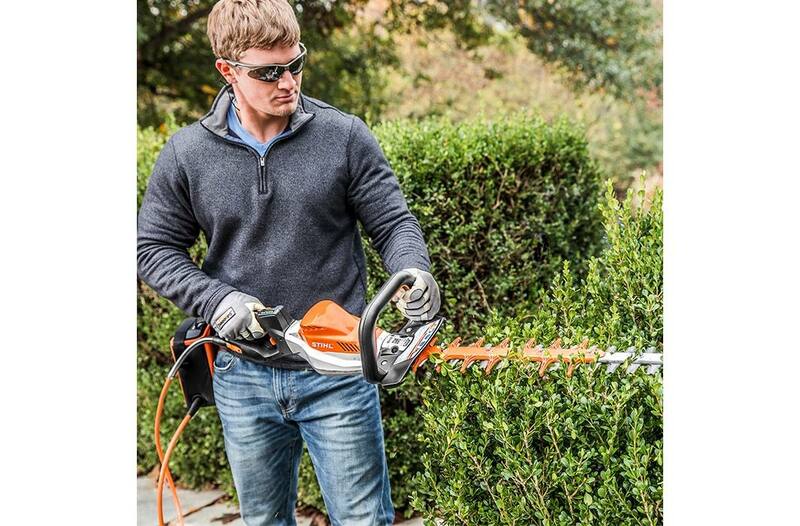 Trim hedges down to size efficiently with the HSA 94 R.
Note: Batteries, chargers and accessories sold separately.